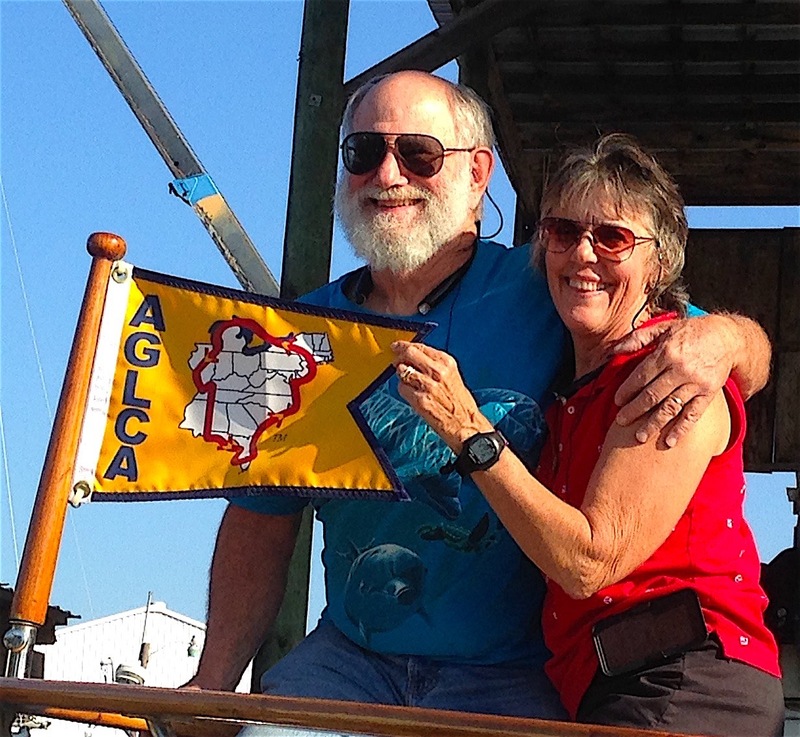 At 8:15 Monday morning, November 14, 2016, Tango Papa’s Tom and Paula and Satisfied Frog’s Berrlin and Debra (with beautiful flowers in hand) climbed onboard Life’s TraVails and we pulled out of Fairhope, the last small town before finishing our Great Loop. Glorious Dei and Jaycie Lynn followed behind. Enroute, Tom H. asked if there was something traditional that happened at wake-crossings. No one knew of anything. He came up with the idea Loopers should jump in the water upon crossing their wake. We thought it was a stupendous idea! We changed into our bathing suits and decided we should jump in from the dinghy deck. So up we went, the cameras came out and on the count of 3, we did tandem back flips into the salty water! Though a little cold, it was fantastic! 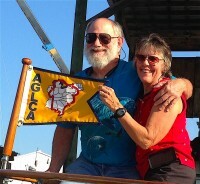 Thad and Cindy offered a prayer of thanksgiving for our safe, successful finish and continued safety for everyone’s further travel, and soon, all lines were loosed and the 3 boats free and headed in different directions – Glorious Dei and Jaycie Lynn toward Florida and us back to Eastern Shore Marina. During the return, we had hoagie sandwiches followed by Paula’s favorite, Key Lime Pie. Pulling back into the marina, Tosca’s Rowland and Alex were waiting with cameras ready and we also met Trawler Life’s Mike and Cathy Rogers, who we had only previously met electronically (by following their blog). After cleaning up, we rode with the Hanaways to pick up a rental car and then drove to Felix’s Fish Camp (recommended by the Enterprise agent) for our own private celebration dinner. What a great choice! When we sat down, we were asked if we were there for a celebration. (We were!) We had an excellent view of the USS Alabama in Mobile Bay, our waitress was friendly and knowledgeable and the food was some of the best of our whole trip! A perfect quiet evening for two. Back at the boat, we finished the day by watching Captain Ron, a comedy about a family who inherited an old boat, loaned to us by Glorious Dei. We went to bed with grins still on our faces from a glorious day. 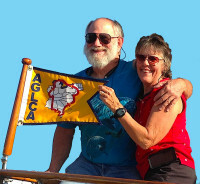 We completed the Loop in exactly 2 years to the very day (although we were really only boating 287 days), traversing 16 states, 1 foreign country, and more than 100 locks. This was an amazing adventure and we want to share a few reflections on our trip. But before we do, let us answer the question many have already asked. “What’s next?” Well, we are going around again! Our first section will be the west coast of Florida down to the Keys (which we didn’t have time to do last time), then back up the east coast after that. We’d like to spend some time in the Chesapeake next spring. 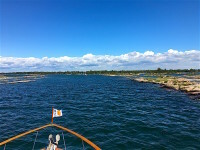 When we bought the boat, our agreement was to do the Great Loop and then sell the boat. 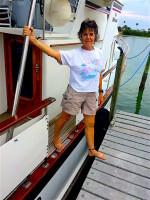 Having never lived on a boat, I didn’t know if I would really enjoy the lifestyle. I knew I would miss friends from home, and thought it would be cramped. Before long, I found it very much “home.” It was comfortable, cozy, and outfitted to our liking with the necessary items. But for me, the trip was always about the travel and sightseeing. Boating was fun, but it was just the vehicle to “get there” and carry our motel. Partway through the trip, I remarked to Tom I thought I could be a “professional traveler” as I was enjoying it so much. Approximately halfway through the trip, in Canada, I found myself wanting to do the Loop again. I loved the Trent-Severn and felt it deserved more time. The Canadians were so friendly and welcoming. 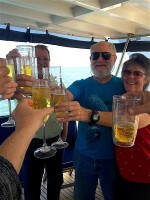 They appreciated our business and loved sharing their beautiful country with us. 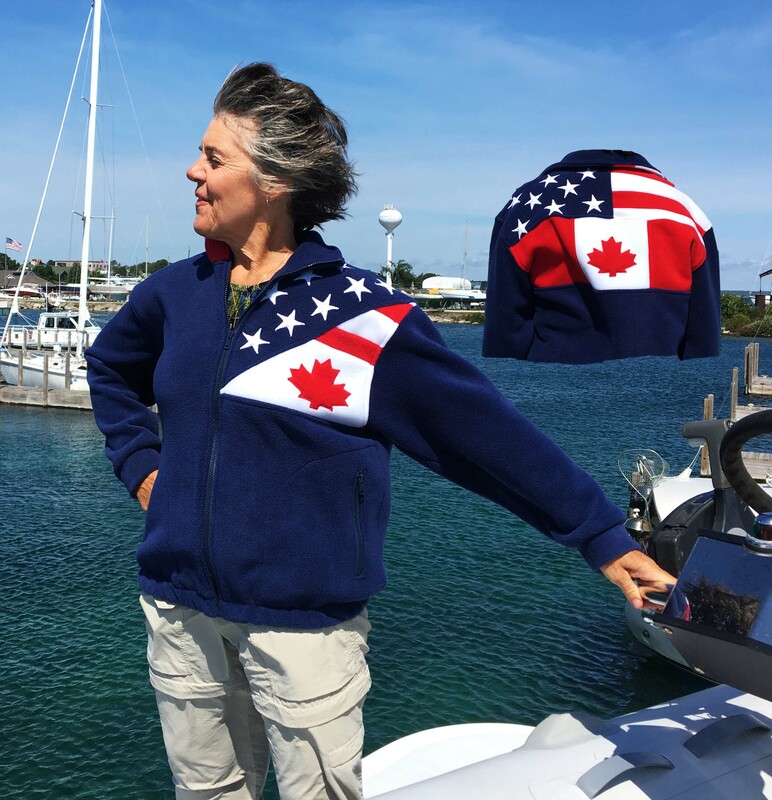 Wearing my Can-Am fleece jacket proudly displays my love for our Canadian neighbors. Biggest surprise? The camaraderie of boaters. 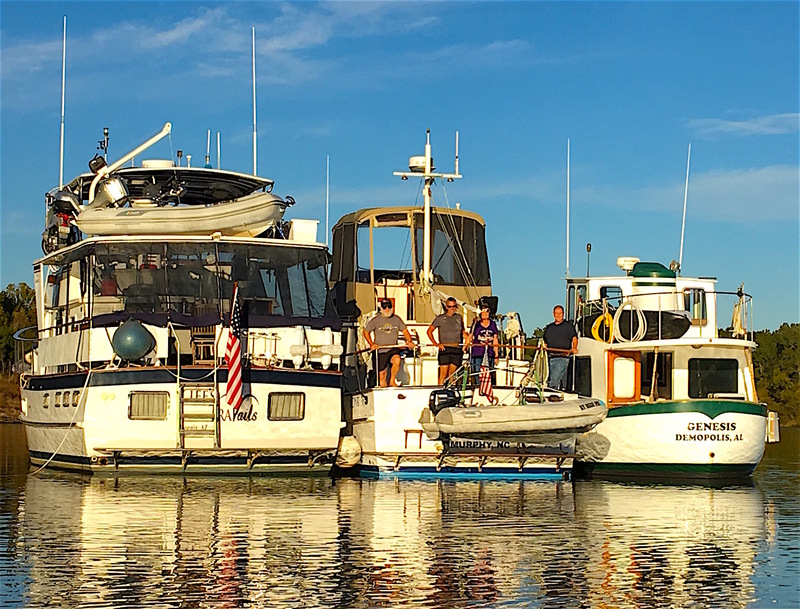 Over and over again, we found boaters so willing to share their time, knowledge, and lives to help each other. Lorenzo was our role model. 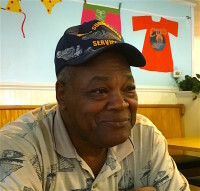 He gave us rides to Walmart (which became our mainstay shopping stop) in Ft. Pierce where we met him, helped Tom for hours in the engine room, and spent a couple of hours reviewing the route up the east coast. Then later in NC, he found us a great diesel mechanic, secured a slip next to his boat for us, loaned us his car while we were under repair, and taught me to dock. There was no way we could ever repay him. The only thing we could do was pay it forward. We shared about him often with others, and our ultimate compliment came one day when another boater said we had definitely “paid it forward” and called Tom his “Lorenzo.” In giving to others, we were blessed beyond measure. 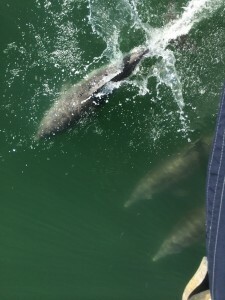 Dolphins – always have loved them; still love them! 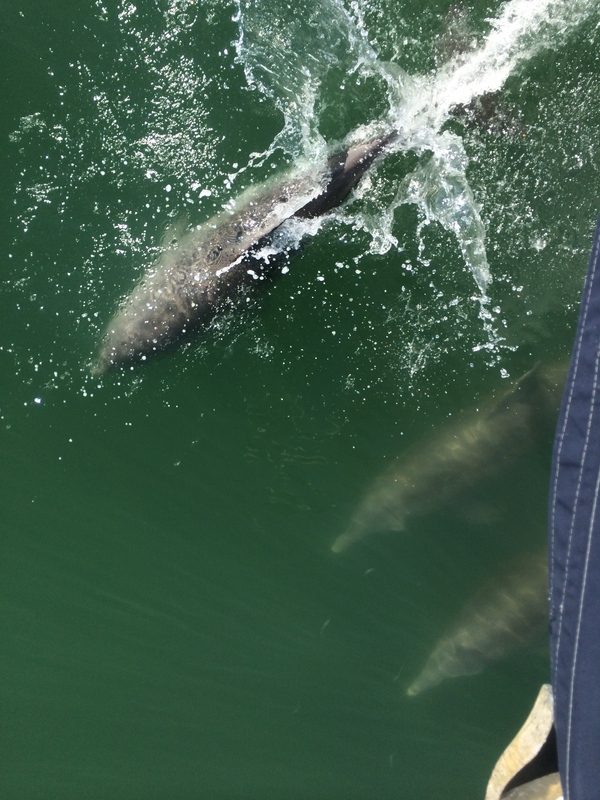 Every time I saw them, I ran to the bow, hoping to see them play in our bow wave or alongside the boat. I never tired of them. 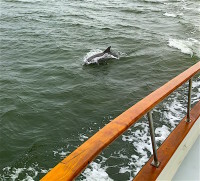 We saw dolphins every day were in salt water from the time we left Gulfport until past Ft. Meyers (75 days). Watch them in action here. Has the trip changed me? I think so. I was often reminded God orchestrates each encounter in our lives and He blessed and enriched my life because of those new friendships. I was reminded over and over again that God is in the details – meeting people because we decided to delay a day or because of the marina we chose, walking by a church at just the right minute to be invited inside to see the stained glass windows and being invited to a concert, and so many others. I had prayed before the trip for Christian fellowship along the way, which He provided. But I was also blessed by those who didn’t profess a belief in Jesus or specifically said they didn’t believe. I discovered I had perhaps become “stale” by mainly associating with people who believe like I do, and I think the trip has made me more open to want to share my life with other people. Only then can I continue to grow as an individual and also bring others who don’t know Jesus to the most wonderful life ever. However each year, only approximately 100 boats complete the Great Loop. We thank God for the opportunity and ability He provided us to be one of those. First is the amazing fact that we did it! Being one of only 100 boats to complete the Loop each year puts this in a special category, at least for me. 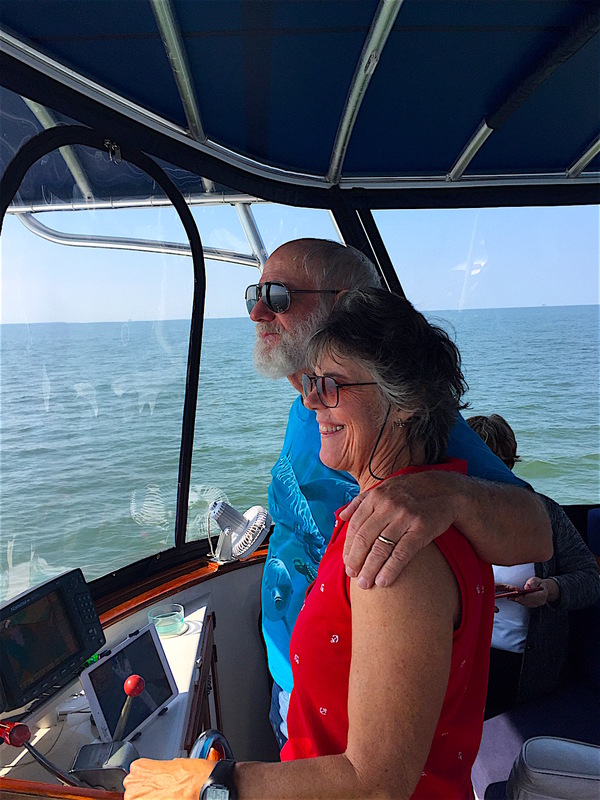 While the boating was fun, it was really a method of transportation…sort of a floating RV. The real adventure was touring the places where we stopped and meeting the people along the way. 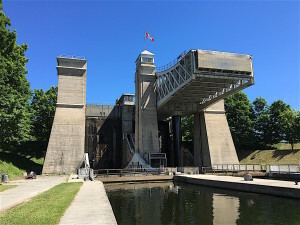 On the touring side, the Trent-Severn in Canada had to be in the top 10, may top 5. Most of the 44 locks on the Trent-Severn had a town of some size, either at the lock or nearby. Some were good size, but the best ones were but a few blocks long with a couple of good restaurants, an ice cream shop, and a bakery. And if you were fortunate, they even had a hardware store with the part you needed. 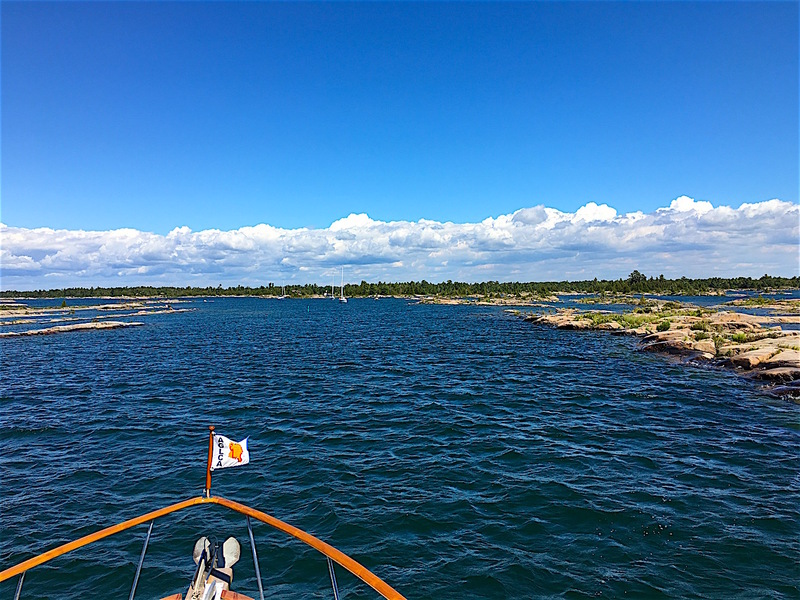 The Northern Channel and Georgian Bay in Canada were also high on the list, not for the towns, but for the beauty and the hiking. In both of these places, we had guests onboard, which made them even more enjoyable. 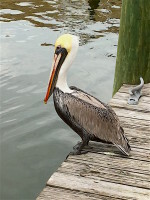 Stateside, the towns along the Florida coast were enjoyable. 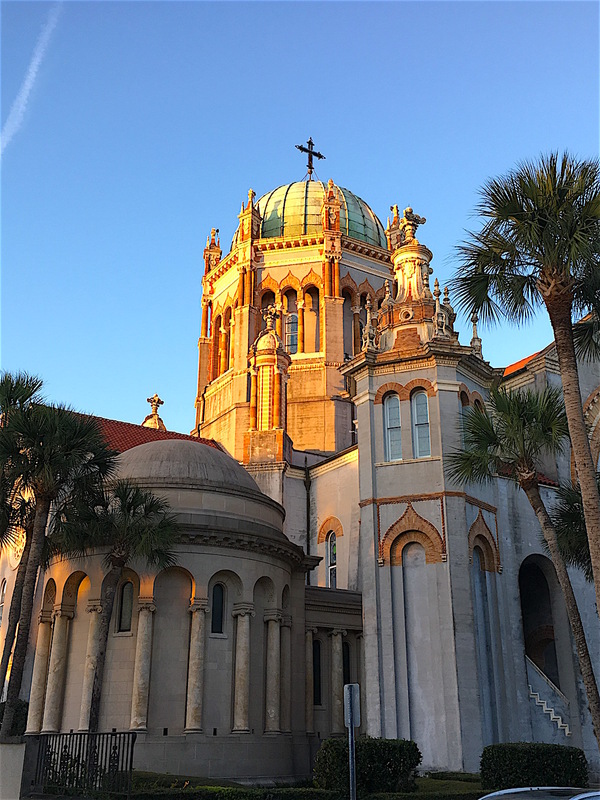 There was so much history in the great little towns on both the east and west coasts – places like Stuart, Sarasota, Clearwater, Fort Myers, and St. Augustine. 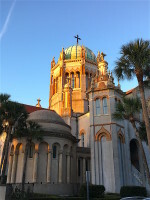 Further north Savannah, Beaufort, Elizabeth City, and Charleston come to mind, all different and each with its own charm. 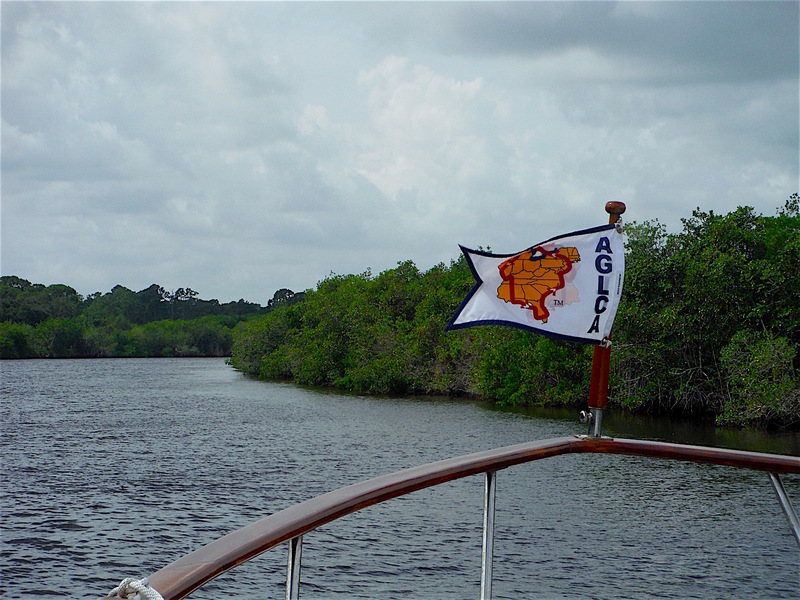 The river systems were interesting with some beautiful anchorages, but not at the top of my list. For us, the river systems were more about the people. 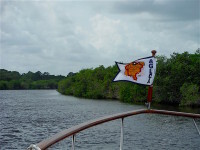 At times, we traveled with other boats for a few days, then split up only to come together again further downriver. We also ran into people we had not seen since North Carolina and New Jersey. The “Looper community” is a loose but tight-knit group of boaters. We all fly the AGLCA Loop flag, so when you see another Looper flag, it is almost expected to stop by, introduce yourself, and exchange “boat cards” (boat business cards). We have a stack of about 200 cards from people we have met along the way. And when Loopers are together, someone is likely to issue an invitation for hor d’oeuvres or a potluck dinner. This is where size matters. 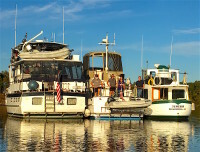 If you have the biggest boat, the party is at your house! 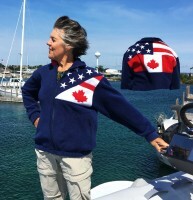 Of course the wildlife was a special treat for me, although I was disappointed in Canada. We saw no moose, elk, bear, deer, or any other large critter in Canada. The biggest land critter we saw was a squirrel, and we saw a few river otters…but that was it. We saw a few deer in the states, but lots of turtles, gators in the south, bald eagles, pelicans, and a host of other birds. 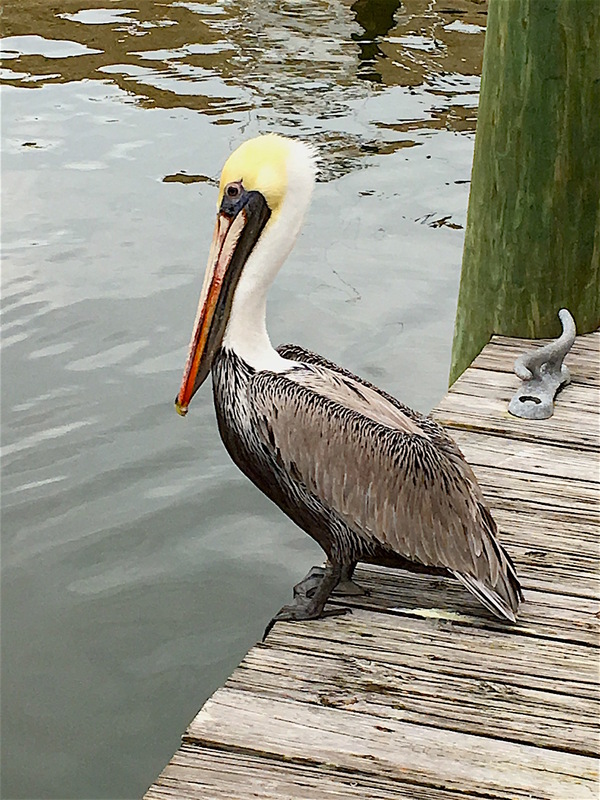 My favorite was watching the pelicans soar so close above the water that, at times, the tips of their wings would skim the surface. 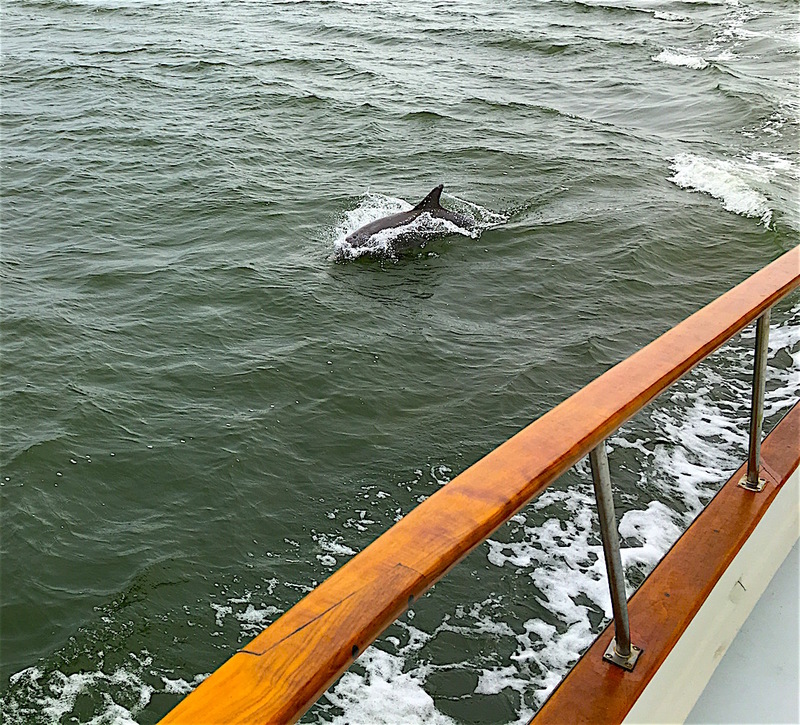 Oh yes…and the dolphins, which were really my favorite, not so much because they are really cool animals who will search out the boat just to play in the bow wave, but the joy of watching Paula get excited and run to the bow to watch them play. No matter how cold it was and even in the rain, if there were dolphins, she was on the bow watching them. She even talked to them. What I didn’t expect was how much work the boat required. I think the to do list was just as long when we finished as it was when we left Gulfport 2 years earlier. Some of the items on the list when we left were still there, but many others came and went along the way. 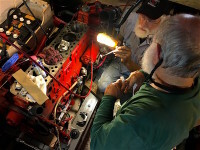 Some were simple little improvements like rearranging the flybridge instrument console, but the not-so-simple included replacing a leaking holding tank (that was a really fun one), a rotten anchor pulpit, and a piston in one of the engines. The projects which were more “fun” were building things like the new bimini frame. And there was the time associated with fixing things or waiting for parts. For example, the engine failure cost us 12 days out of our schedule. But the most cherished memory of the trip was doing it with my best friend and wife. We had talked about this trip for 20 years. (In fact, before we moved from NC to Phoenix in 1998, we had made 2 trips to the coast to look for a boat.) 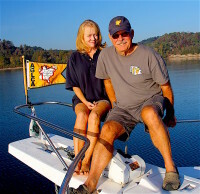 Within the boating community, the husband is often called the Captain and the wife, the Admiral. 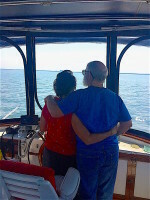 While we jokingly used these terms, we truly were co-captains – equal partners. She did most of the trip and sightseeing planning (which was a ton of work). 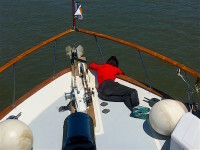 I did most of the route planning and the boat maintenance, but even those functions were shared too; for example, Paula did all the varnishing of the teak on the boat (after I sanded it). So when I look back at the 2 years and 5,000+ miles of the Great Loop, Paula is at the top of the list. Oh, did I mention the sunsets? PS: Congratulations to wonderful Loop friends Kit and Pam, who crossed their wake a few weeks before us, and to Thad and Cindy who crossed their wake just days after us. Thank you for the travel log. You welcomed us aboard when you caught me admiring her lines in Carrabelle, Fl. and I became an instant fan. I was so excited at the prospect of seeing your boat that I locked the keys in the car. Can’t wait to finish building our boat so that we can join you on the loop! Rick, wow that was a long time ago. We’re so glad you have been following our blog and been inspired to do your own Loop. We think you’ll love it. (Sorry about the keys though.) What are you building and how soon can you get traveling? Congratulations, Paula and Tom. What a big accomplishment. Bob and Cecile. Thanks, Bob and Cecile. And you were a part of it too. 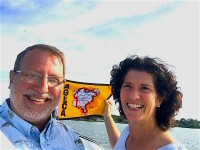 My husband and I are in the planning stages; so much so that we have just begun our boat search. 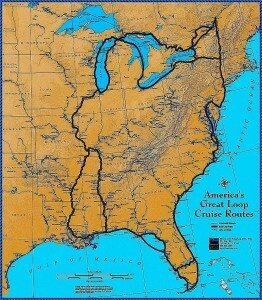 While I’m retired, we are estimating it will be approximately 2 years before we begin our Loop trip. These blogs are such an inspiration to us! I’m sure we will be reading these avidly during our “work and wait” time! We are so glad you have enjoyed them and they might help you in the future. How did you find us in the first place? Deborah, I’m glad you have found our blog inspirational. I believe you will really enjoy doing the Loop. Not sure we’ll want to do it 3 times, but we are ready to do it again. Congratulations on crossing your wake!!! 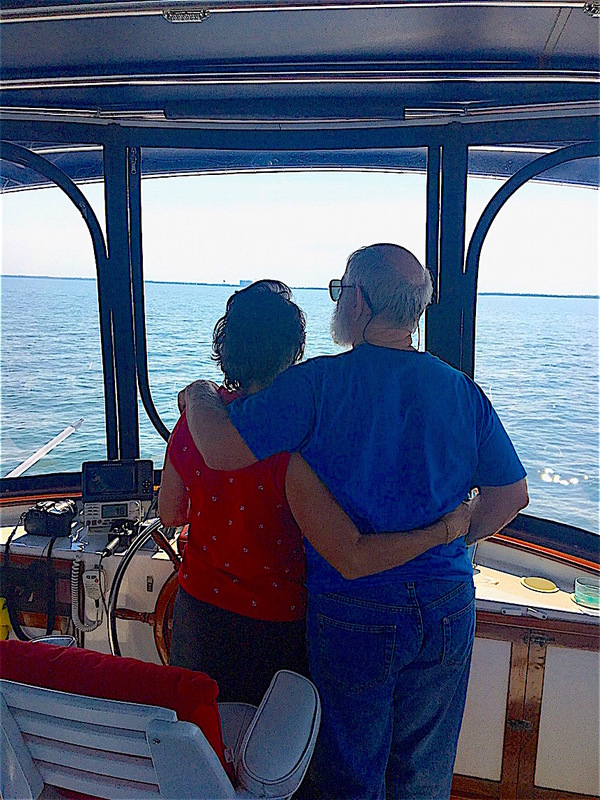 My daughter Evelyn and I met you guys last summer while we were aboard my dad’s PDQ, Cat Daddy. I have been following you guys ever since! Safe travels and happy trails! Hey, Amanda. Glad you’ve been following our blog. Hope all it well with you and your family, including beautiful little Evelyn. Did Rafe finish his Loop yet? Happy New Year.